When I think about how terrified I was in my speech class in college it still surprises me that being a speaker is something I enjoy so much now! One of my favorite things is having the opportunity to encourage others on this crazy journey of life. I have experienced bumps in the road that have threatened to steal my joy and prevent me from fulfilling the dreams God has given me. I know the pain of depression and loss but I also know that God can give us the strength and courage to allow every part of our story to transform us into all that He created us to be. The theme of my messages always seem to circle around to hope! Everyone needs hope. So many people are just trying to get by. There is so much more to life than just surviving. There is healing and joy and we were created to THRIVE not just survive. My goal is to point fellow sojourners to a path that leads to a fulfilling life of purpose. That path is available to everyone without exception! I love to inspire but even more than that I LOVE to equip listeners with practical tools to help them on their journey. 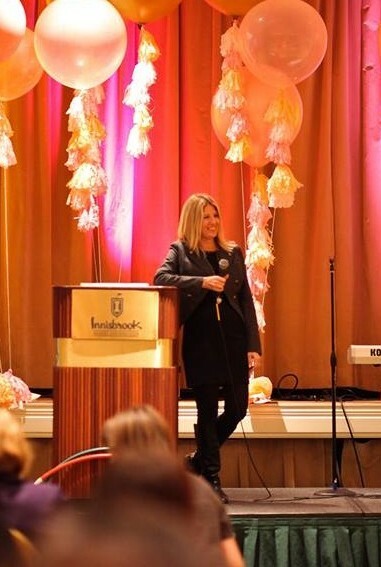 It is a joy for me to speak at women’s events such as conferences, girls nights out, workshops, seminars and networking events – really anywhere I’m invited! There is no audience to large or too small as long as there are souls to encourage I’d love to be there! Dig Deep, Get Real, Think Big, Don’t Panic! When God gives you a vision, stepping out and pursuing that vision can be daunting to say the least. In this talk Tracey unpacks these 4 biblical principles that are the cornerstones to pursuing a God-sized dream. As she walks the audience through the process of seeing a vision through to reality she delivers practical and relatable steps to guide others through the same process. Woven throughout the message are poignant stories and humorous moments that are all part of dreaming BIG! Proverbs 18:21 tells us,”The tongue can bring death or life; those who love to talk will reap the consequences.” EVERYTHING IS ALRIGHT is a message about the power of our words. Drawing on a powerful, often overlooked story, Tracey encourages audiences that the power of the words they speak act as a rudder for the direction of their life. 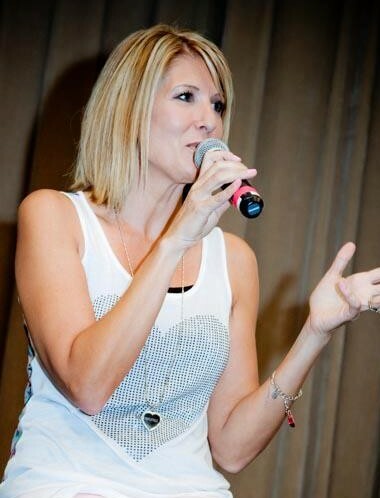 Tracey is a firm believer in speaking life and gives the audience memorable tools to help them navigate the trials in life, craft their words and reactions and change the outcome for the better! In this talk Tracey speaks from the content of her upcoming book, “The Six Impossible Things I Believe Before Breakfast.” Inspired by the movie Alice in Wonderland, this highly creative message equips the listener with tools to live by everyday to overcome the obstacles that life throws at them. Tracey recounts Alice’s journey down the rabbit hole and through Wonderland making parallels to her own life and her battle with depression and losing her identity. The six impossible things are powerful biblical truths that inspire audiences live with passion and determination, inspiring them to embrace the champion they were created to be.